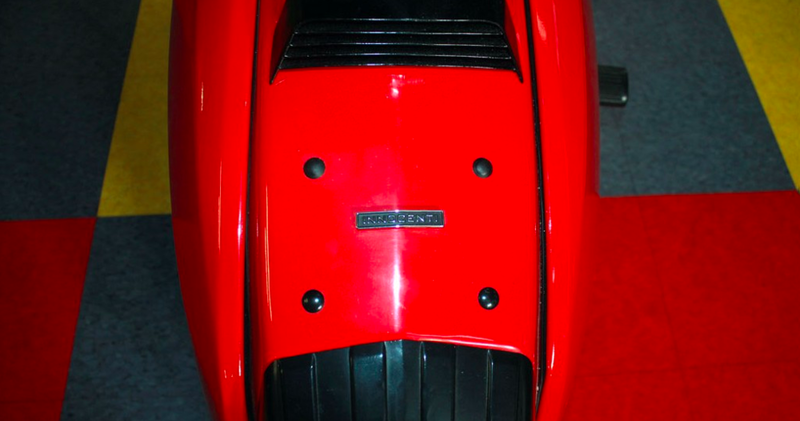 When they closed the factory, Innocenti sold all of the toolings for the scooters to a company in India, who kept making this model up until the early 2000’s. That said, the Italian-made models were of a vastly superior quality to the Indian ones. For that reason, and because relatively few DL/GP’s were made in Italy, they are highly sought after. This is one of those Italian DL’s. This model was called the DL (or De Luxe) in Italy but was badged as the GP (or Gran Prix) in some export markets like the UK. We found this DL in Italy on one of our recent trips. It was restored there before we acquired it, and is in excellent condition. The paint looks great, and we really think that the red suit the design on this scoot quite well. The DL’s are very rare in the US, and we are happy to offer this sweet scoot. La dolce vita indeed!